Dallas Personal Trainer - One of the greatest bicep exercises and very undervalued by many a personal trainer throughout Dallas and elsewhere. 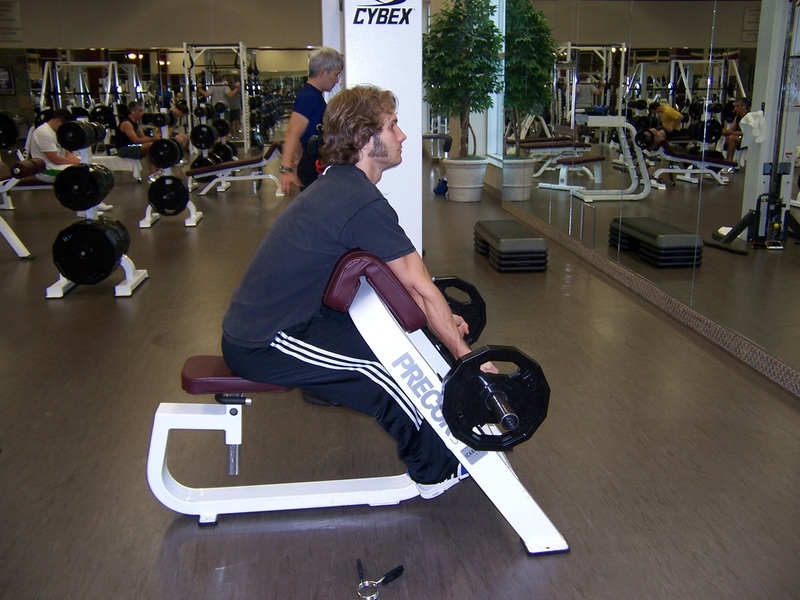 Its superior value comes from the fact that it locks the arms in place and thereby allows the exerciser to put the maximum stress on the target muscle (the biceps in this case). 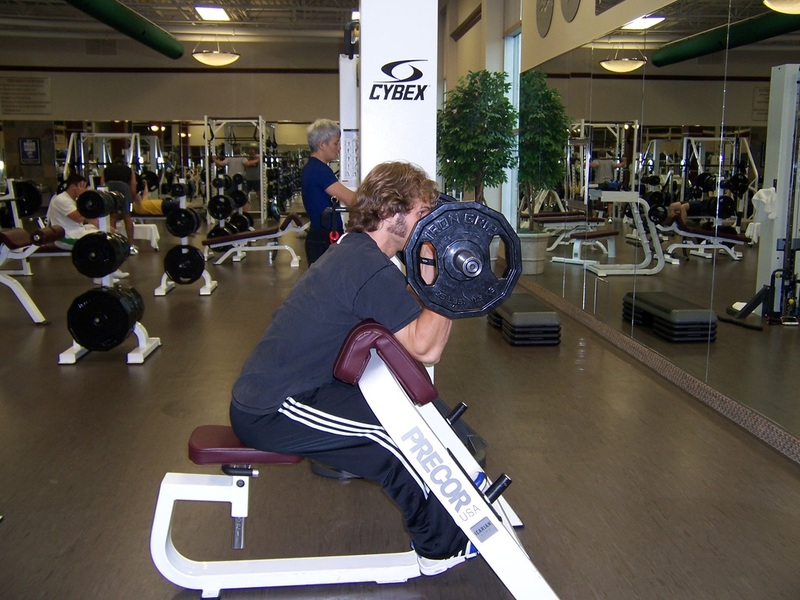 Load a barbell on a preacher bench (as pictured) and lean into the pad with your chest, letting the pad sit tightly up into your armpits. Grab the barbell from the rack and curl it up, keeping your elbows and armpits firmly pressed into the pad. Keep your wrists straight and curl up as high as possible without letting your biceps relax. Contract them as tightly as possible at the top, and then let the bar back down smoothly, getting a full stretch at the bottom of the movement by completely locking your arms out. From the stretch, smoothly curl the bar back up, making sure to initiate the movement strictly with your biceps. Do not bring the bar so close to your body at the top of the movement that your biceps lose the pull of gravity against them. Make sure that they maintain a tight contraction throughout the this entire exercise.